This is the 12th year that I come to all of you for help. My son was a NICU baby and his life was saved by Oakland Children's Hospital (now a satellite campus for UCSF). He was flown to the hospital by helicopter when he was 3 days old and the staff spent the next 10 days figuring out how to help him. Nathan came home the day after Thanksgiving. When he first arrived in the hospital, we believed he would be there until after Christmas, and somehow that added to how painful the situation was. This drive, is my attempt to help the families who aren't as lucky as we were to have their baby home on Christmas. I'm asking for donations of afghans for the NICU babies. Some of those babies are ultra-preemies (think Barbie doll size) and some are up to a year old (so think a regular sized one-year old baby). Literally, any size afghan you make will have a baby that needs it and a family who will never forget your kindness for reminding them that they aren't alone at a time they feel most alone. 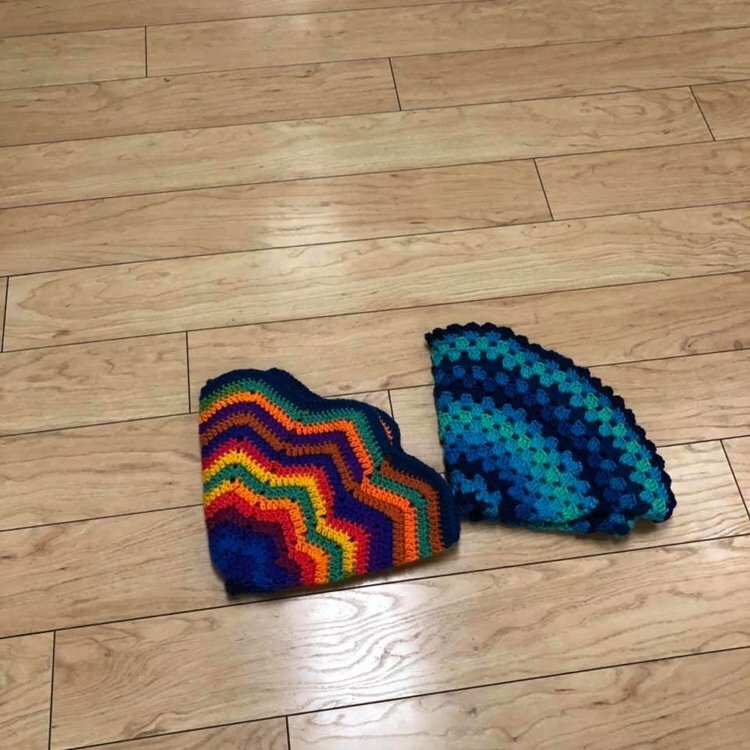 If you'd like to make hats, those work too... if you'd like to make an item for a child older than 1 year, the hospital cares for children up to the age of 18. I make and collect items all year long and deliver before Christmas. Santa will pass out items on Christmas day, and anything left over is passed out by the nurses and chaplain as needed. 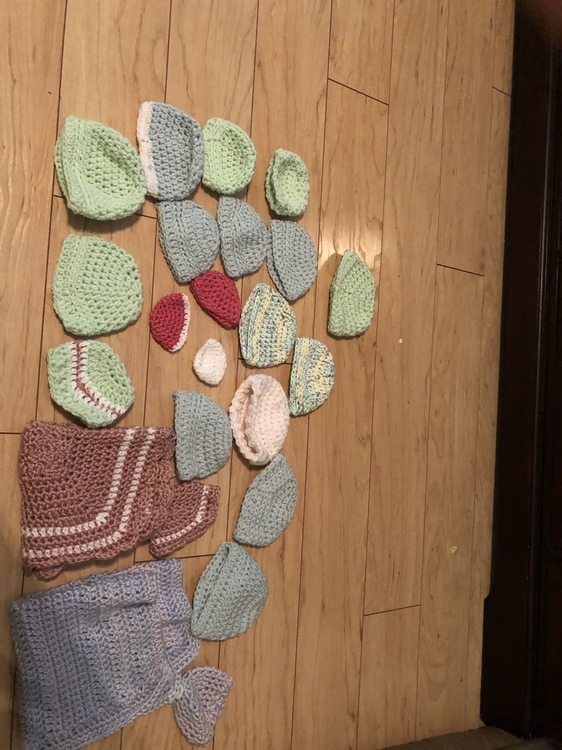 If you feel compelled to make something for a preemie, please think lighter weight yarn and fewer holes (as monitor wires can get caught in the holes). To date, we have delivered 1525 afghans to the hospital. Thank you for thinking of helping these families. I truly appreciate it. I just finished up my first baby blanket for the drive today. 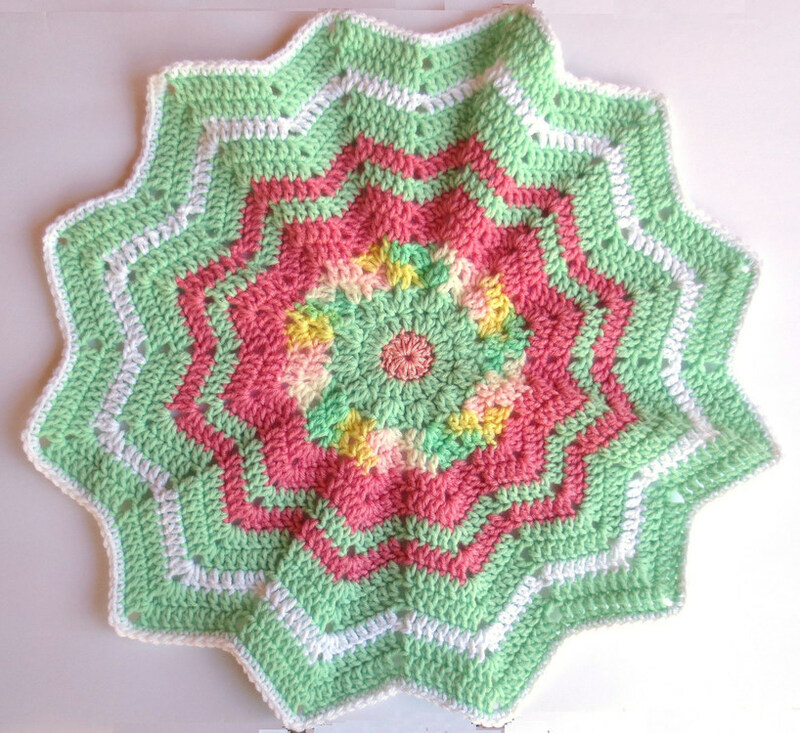 It's a round ripple using a Mandala yarn cake in Unicorn. Thanks Kathryn. I will crochet another one and ship them off together to you. I just finished off a Granny Mandala blanket. 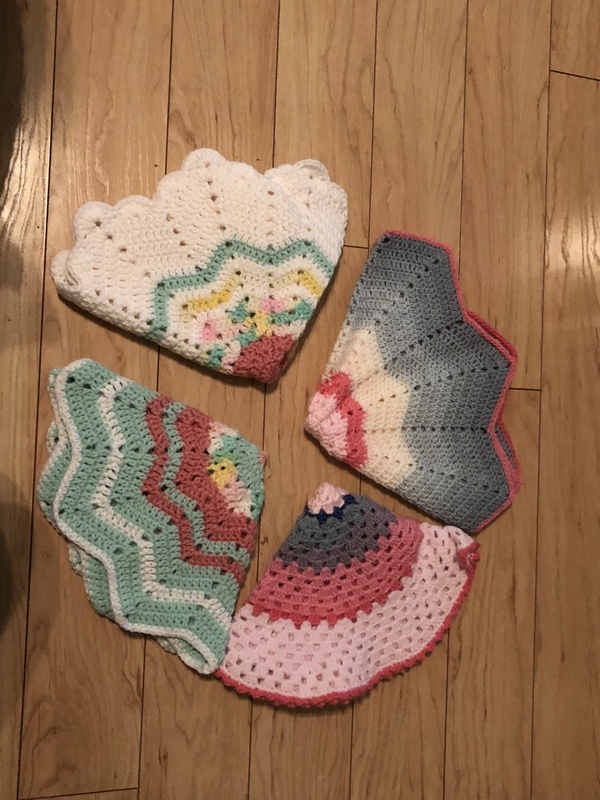 I have wanted to try this round granny pattern and recently got the chance. I crocheted it to 22 inches wide for my 2nd blanket for the NCIU blanket drive this year. 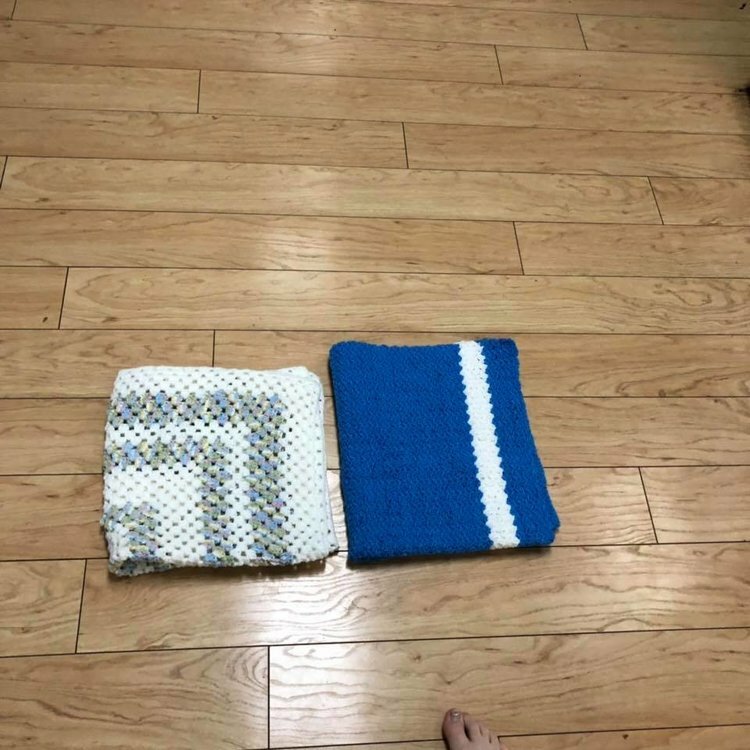 I have both blankets in the mail to Kathryn. 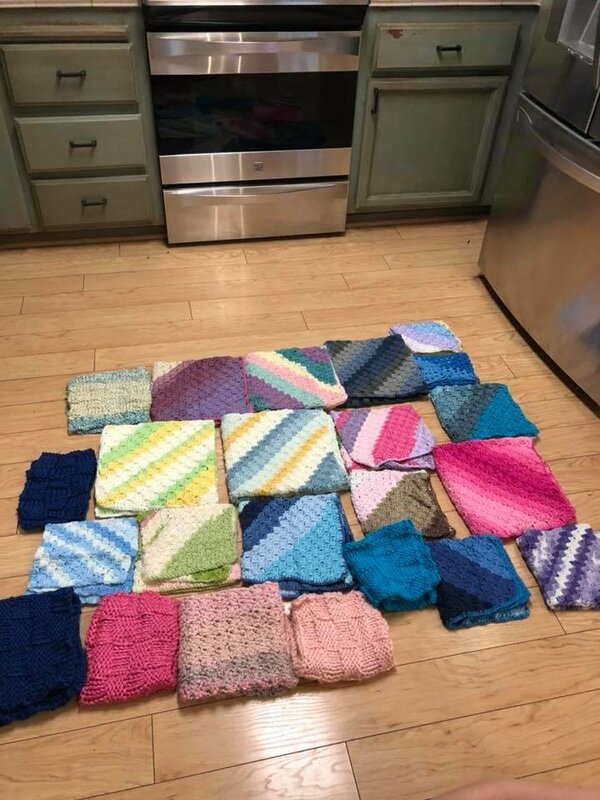 I hope to make more blankets later in the year. Cindy anothet pretty one! 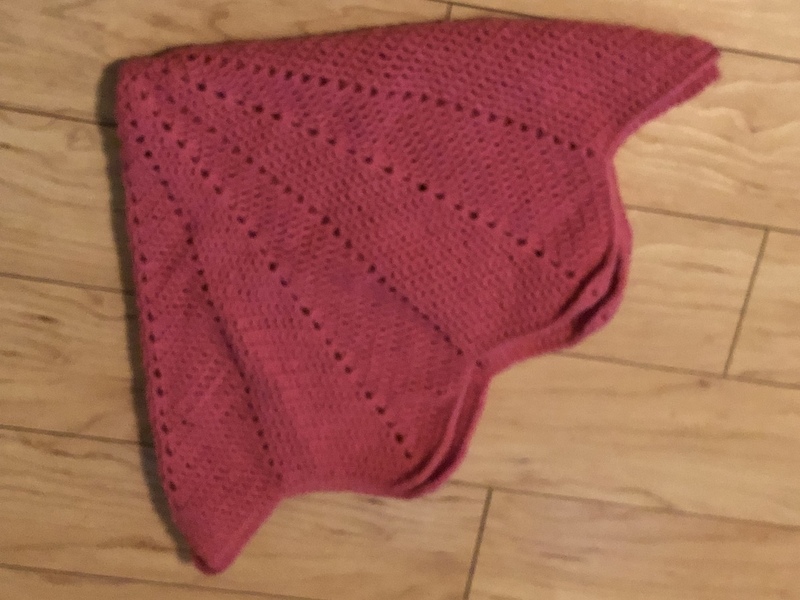 And thank you for the pattern link. Cindy, I thought I messaged you to tell you the package arrived, but I can't find that message. So sorry - package came, thank you! Thank you for the message. Glad they arrived safely. 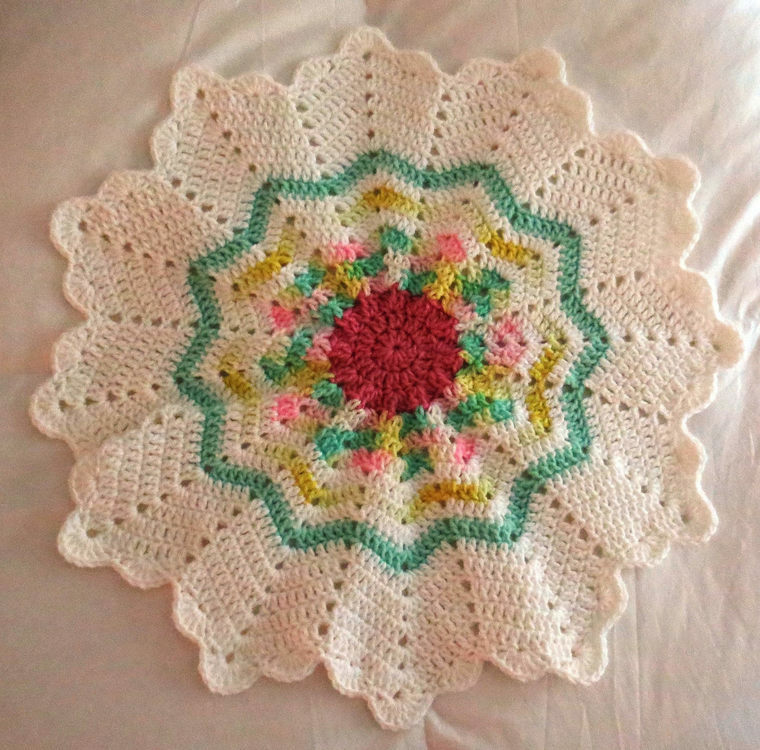 I will try and do more baby blankets later this year too. Finished up two little round ripple blankets using Aggie's round ripple pattern. I used up several bits of old vintage variegated yarns while working the blankets. I had to add more white yarn to fill in on the one so I tried a new edging on this one. Check it out below. Cindy I like the way your colors worked out and really like your edging where you added the white. That one looks kind of like a big flower----colorful center and white petals. Thank you for the nice comment. I hope some family will find comfort from this at the NICU. Those are beautiful Cindy! I love RR's. Thanks! I got them shipped off to you last night. Taken me a while to post pics of donations. Busy few months mom bing my mom and now I’m nursing a broken shoulder. My daughter took these pictures for me. Thank you to Cindy for 4 Afghans, Donna for 21 hats and 2 blankets and cshort for 1 afghan. Thanks Kathryn! Hope all is well and you are feeling better soon. 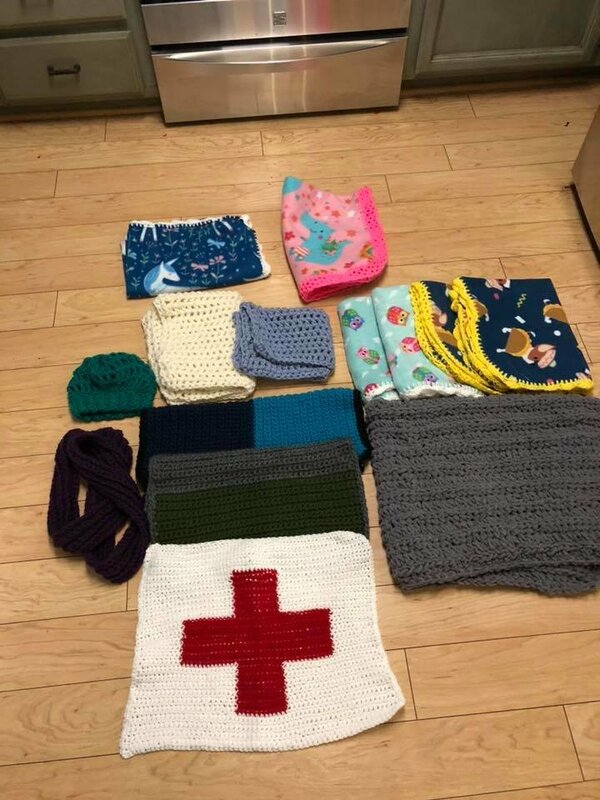 With Fall coming soon, I will try and do a few more blankets for your drive. Just tried a Red Heart Stripes skein for a round ripple. I did add a bit of orange to finish a few rounds and then added blue for the final round. I did a slip stitch trim as I was running out of yarn. This is Aggie's round ripple 12 point pattern. Finished size is 23 inches wide. Thanks Kathryn. I have more of the Red Heart Stripes yarns so will do at least one more before sending these off to you. 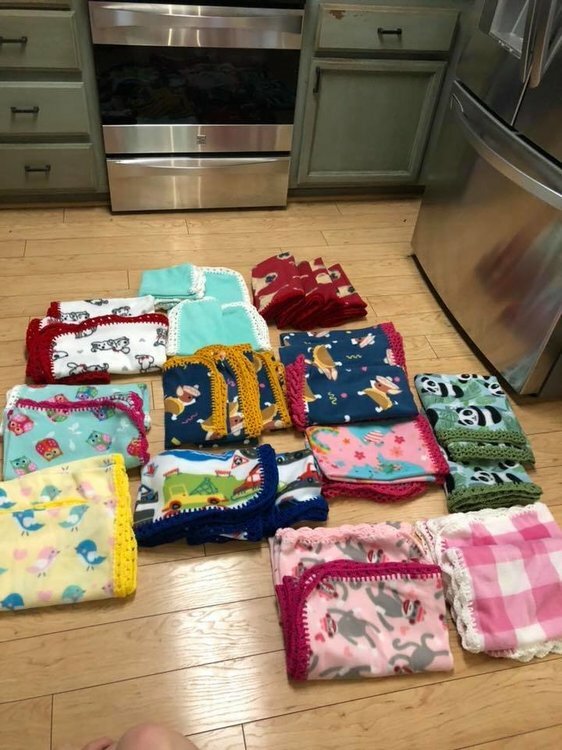 Worked on these last few preemie blankets for this year's drive. I will get them mailed this week. Both crocheted using skeins of the Red Heart Stripes along with some scraps to make them 22 inches wide. Thank you. I am sorry to hear about your shoulder. Hope you are healing fast. I will get these off to you very soon. Best wishes.